Arnold Karolewski is a Principal with Chuhak & Tecson, focusing his practice in real estate law, land development, municipal law and secured loan transactions. His experience includes 20 years of active representation for various Illinois municipal corporations. Arnold has previously served as a member of the firm's Professional Education Committee. 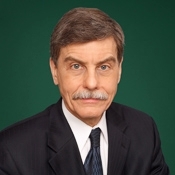 Arnold served as village attorney for a Chicago suburb and previously worked as general counsel and director for an Illinois not-for-profit corporation.